Re-calibrating after a series of upheavals | Lorell Frysh Ph.D. Suddenly it’s December. So many of us thought the world would look different. Politically of course we are entering a strange unknown. Not sure what to expect. We have a president-elect who seems not sure of his own agenda, or his sense of self. And he is filling his cabinet with military men and business cronies…hmmm. I’m reflecting on how I left apartheid South Africa in 1979. It was a country filled with divisive ideology, hate and fear. I came to the United States because it spelled freedom of expression, open views and open arms and hearts. I am concerned for direction of this country. Interestingly, I also find myself back in Atlanta after a 17 year hiatus. Some strange and quixotic God orchestrated this political situation, and the hurricane that brought my daughter and I here. We were evacuated from St. Simons Island at 4:00am during hurricane Mathew. I have yet to understand the higher motive of this quixotic god but am staying present and trusting. As always, I am dedicated to making the best of things. So a couple of weeks ago I sat down for a delightful cup of tea with my lovely old friend Swami Jaya Devi. When I first met Swami she was not yet Swami, and in fact not yet Jaya Devi. It was the mid-1990s and Claire was teaching Kundalini yoga in a tiny little store near to my home in the Highlands. It became my go-to yoga place. I remember the first class well. Claire demonstrated each move beautifully, with fluidity and with the dedication and integrity I have come to know so well in her. There were only three of us in those early classes. The poses were challenging but breathe was our friend. And along with it, she and I formed a fast bond. The classes grew. Somewhere along the way, Claire met the incomparable Ma Jaya Sati Bhagavati, her root guru, who was fierce in her dedication to Truth and the importance of doing powerful work to destroy the illusions and machinations of the false ego. It was easy to see how Claire’s journey shifted her from Claire to Jaya Devi to Swami. 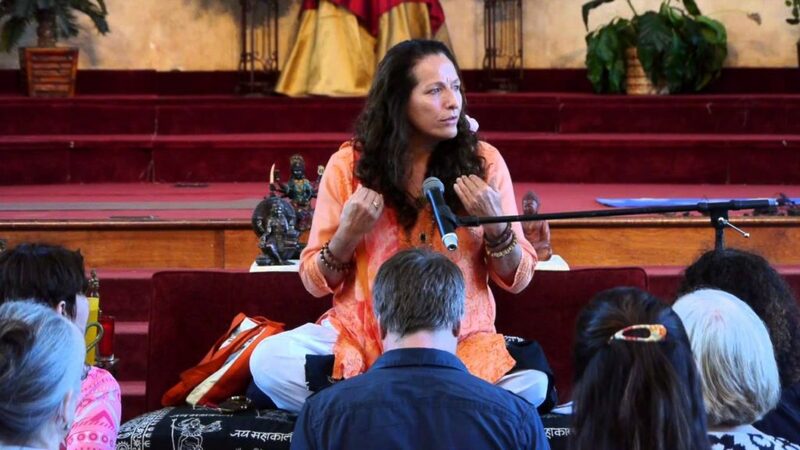 She is now heading the Kashi Ashram in Atlanta which, under her auspices does magnificent work to feed the homeless, provide for the HIV population, teach yoga in the prison system, as well as serving the ongoing spiritual journeys of her community. I’m happy to say that she has invited me to teach a workshop and class series at Kashi on the Mystical Consciousness beginning in February 2017…and most happy too to be focusing on a positive, New Year. In the face of the unknown, and the midst of challenges, we all have a choice. Mine is to dedicate myself to continue to foster freedom of expression, open views, open arms and open hearts.